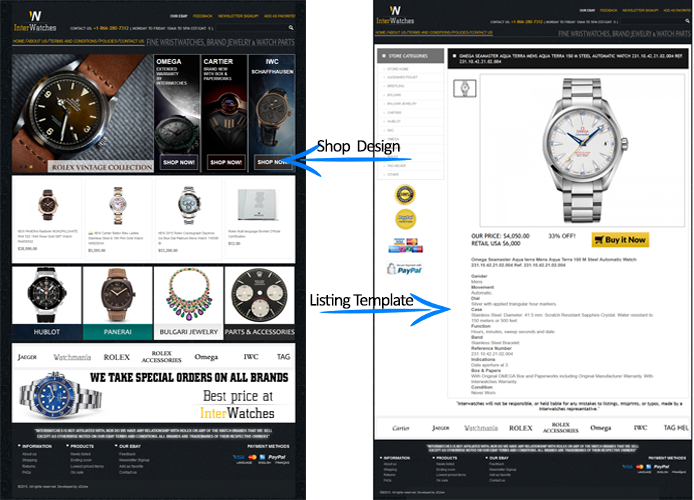 Compliant with eBay 2018 HTTPS secure links policy. 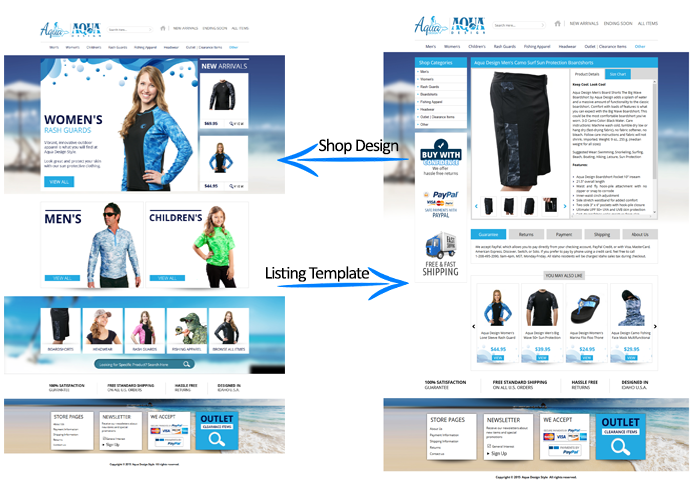 unlimited banners, dynamic image gallery, dynamic tabs. 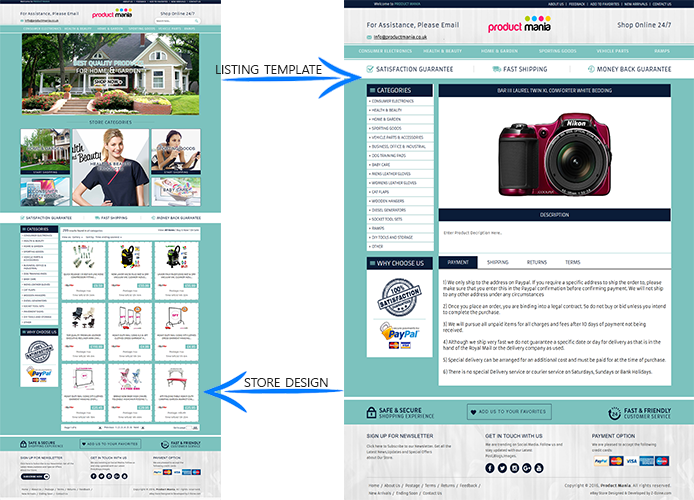 Free hosting for your shop and listing design elements. After Sales Support. Need help? 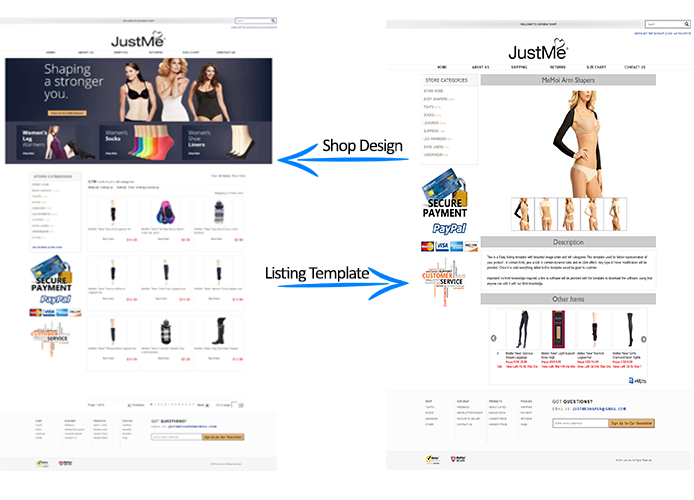 I can list 50 items at your shop with listing template. 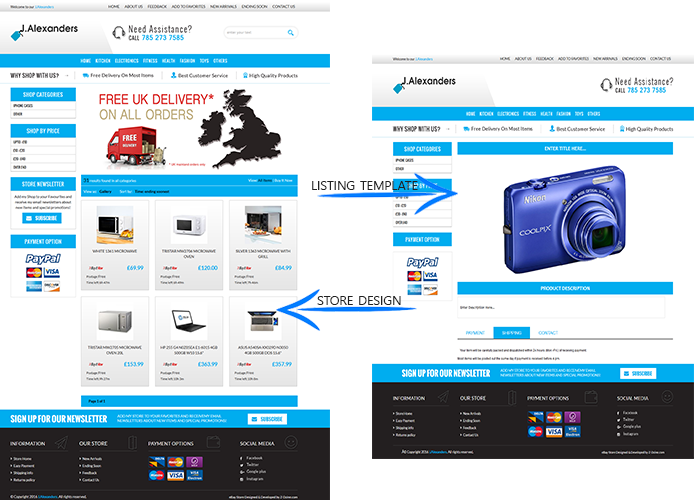 We will collect your design requirements through these following questions. 1. What is your preferred color scheme? 2. Please provide any store/listings examples you like? 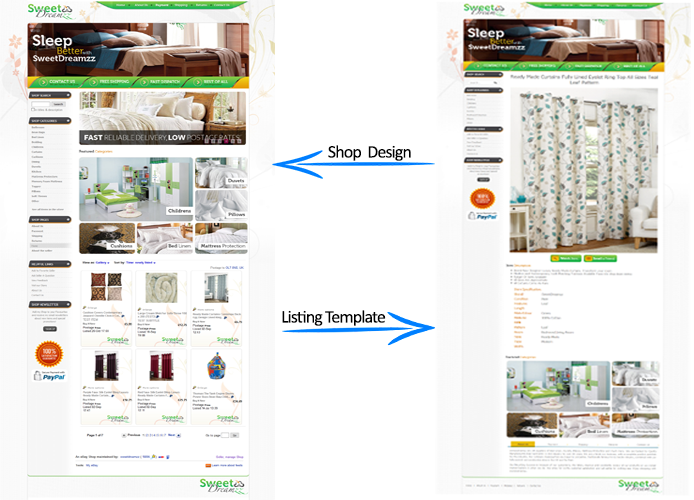 Your shop login detail (username and password) for design installation purpose. If you does not want to share login details with us then we can give installation instructions.You can install by yourself. If you have any logo .Please provide us . Really pleased, great work. Will continue to work with. Thank you, Great service and excellent work. EXCELLENT service, went well beyond the expected, a great service, a great communicator - Thank you. 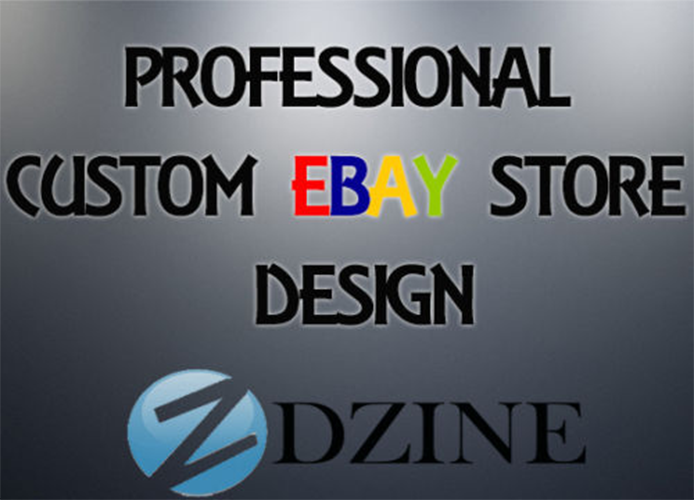 eBay store/shop design - eBay listing template - eBay web services - eBay listing tool - eBay Seo - eCommerce solution - Magneto expert - shopify expert - OS commerce and other eCommerce platforms. i am a bachelor in Software engineering. 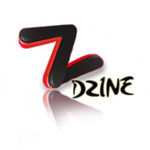 i have already worked as Web designer for a web design company Name z dzine for 3 years. i have worked on other freelance platforms for years and i know how to deal, deliver and satisfy a client with in given time period by providing quality work.